Deep Purple are an English rock band formed in Hertford in 1968.They are considered to be among the pioneers of heavy metal and modern hard rock,although their musical approach changed over the years.Originally formed as a progressive rock band, the band's sound shifted to hard rock in 1970. Deep Purple, together with Led Zeppelin and Black Sabbath, have been referred to as the "unholy trinity of British hard rock and heavy metal in the early to mid-Seventies".They were listed in the 1975 Guinness Book of World Records as "the globe's loudest band" for a 1972 concert at London's Rainbow Theatre,and have sold over 100 million albums worldwide,including 8 million certified units in the US.The band has gone through many line-up changes and an eight-year hiatus (1976–1984). The 1968–1976 line-ups are commonly labelled Mark I, II, III and IV.Their second and most commercially successful line-up featured Ian Gillan (vocals), Jon Lord (organ), Roger Glover (bass), Ian Paice (drums), and Ritchie Blackmore (guitar). This line-up was active from 1969 to 1973, and was revived from 1984 to 1989, and again from 1992 to 1993. The band achieved more modest success in the intervening periods between 1968 and 1969 with the line-up including Rod Evans (vocals) and Nick Simper (bass, backing vocals), between 1974 and 1976 (Tommy Bolin replacing Blackmore in 1975) with the line-up including David Coverdale (vocals) and Glenn Hughes (bass, vocals), and between 1989 and 1992 with the line-up including Joe Lynn Turner (vocals). 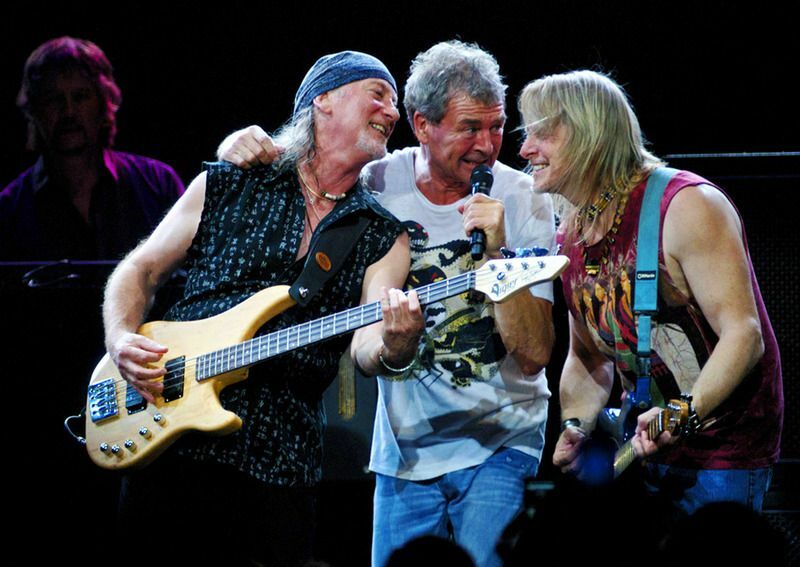 The band's line-up (currently featuring Ian Gillan, and guitarist Steve Morse from 1994) has been much more stable in recent years, although organist Jon Lord's retirement from the band in 2002 (being succeeded by Don Airey) left Ian Paice as the only original Deep Purple member still in the band.Deep Purple were ranked number 22 on VH1's Greatest Artists of Hard Rock programme and a British radio station Planet Rock poll ranked them 5th among the "most influential bands ever".At the 2011 Classic Rock Awards in London, they received the Innovator Award.In October 2012, Deep Purple were nominated for the first time for the Rock and Roll Hall of Fame, but were not voted in the following March. In October 2013, the band was announced as a Hall of Fame nominee for a second time.On 26 February 2013, the title of the band's new album was announced as Now What? !, which was recorded and mixed in Nashville, Tennessee. 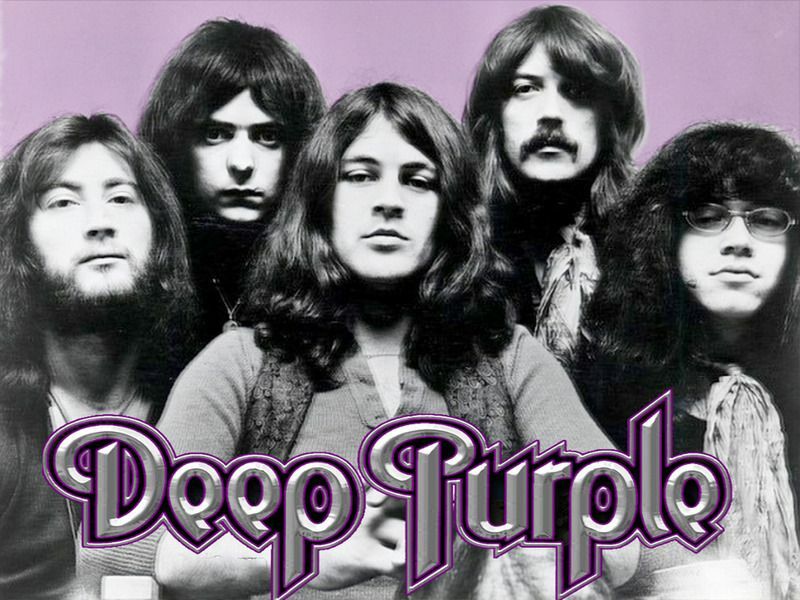 DEEP PURPLE stands alongside Led Zeppelin and Black Sabbath as part of the Holy Trinity of British hard rock. The list of the band's classic songs is legion, and the influence it's had on successive generations of musicians is both enduring and remarkable. Rhino Records is celebrating DEEP PURPLE's history with the definitive collection "A Fire In The Sky - Deluxe Edition" released today. "A Fire In The Sky" will be available as a single CD, this Deluxe Edition three-CD set, and a three-LP version. 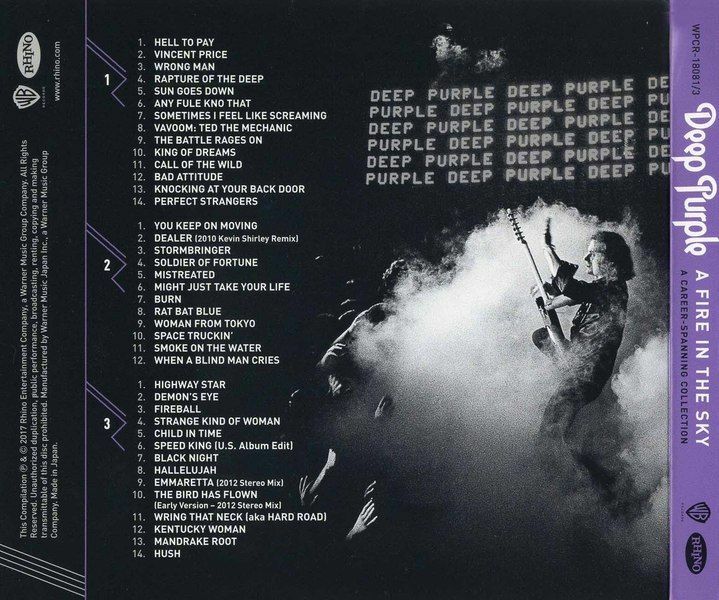 Each version includes a selection of songs chosen from the 19 studio albums that Deep Purple recorded between 1968 and 2013.The single-disc of "A Fire In The Sky" features 20 songs and focuses mainly on the band's singles / edit versions, which is cool for the iPod.But if you want to have 'the real thing', especially the early songs, you need this "A Fire In The Sky - Deluxe Edition".This three-disc version dives deeper into Deep Purple's past with 40 songs and includes at least one track from every studio album through "Now What?! "It also provides the ultimate showcase for the group's various incarnations through the years. 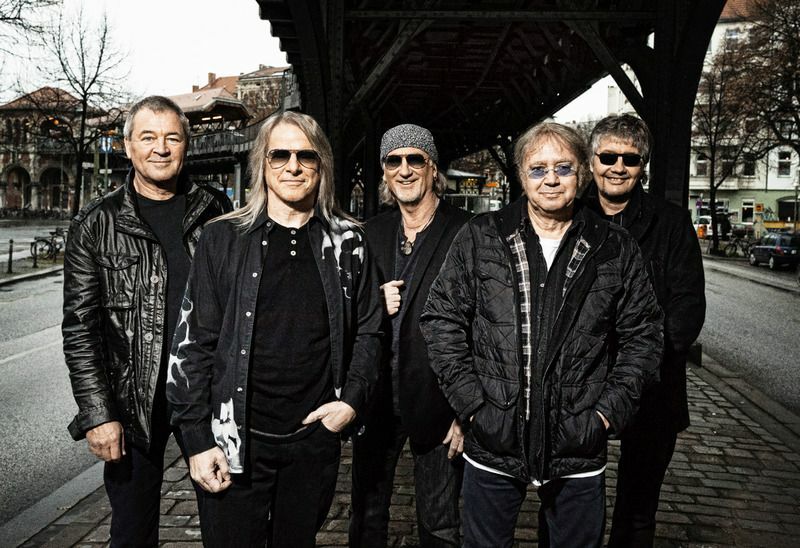 To date, more than a dozen musicians have appeared on a Deep Purple album.Among the set's many highlights are the title track from 2005's "Rapture Of The Deep"; "King Of Dreams" from 1990's "Slaves And Masters"; "Bad Attitude" from 1987's "The House Of Blue Light"; "You Keep On Moving" from 1975's "Come Taste The Band"; and "Hush" from the group's 1968 debut, "Shades Of Deep Purple". 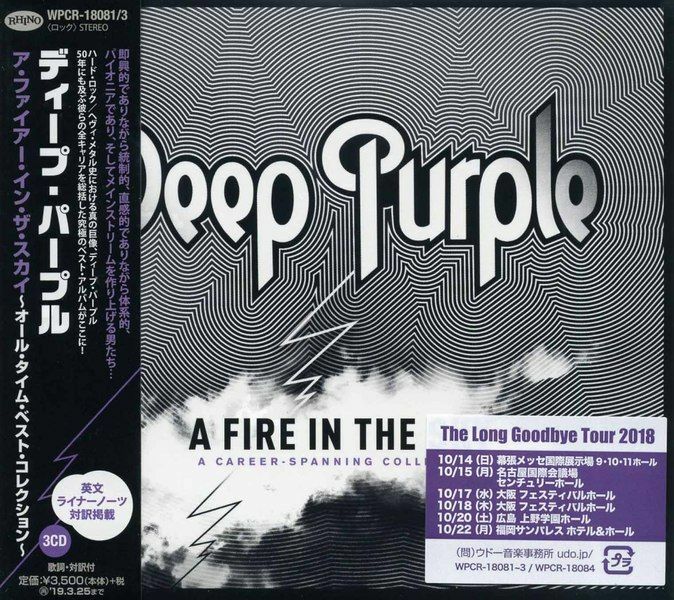 This expanded version also features Kevin Shirley's 2010 remix of "Dealer", and the 2012 stereo mix for an early version of "The Bird Has Flown".I think "A Fire In The Sky - Deluxe Edition" is must have Deep Purple collection. Especially Disc 3 is some kind of a great mix between all the Purple best songs and the 'inside tracks' you probably don't have yet.